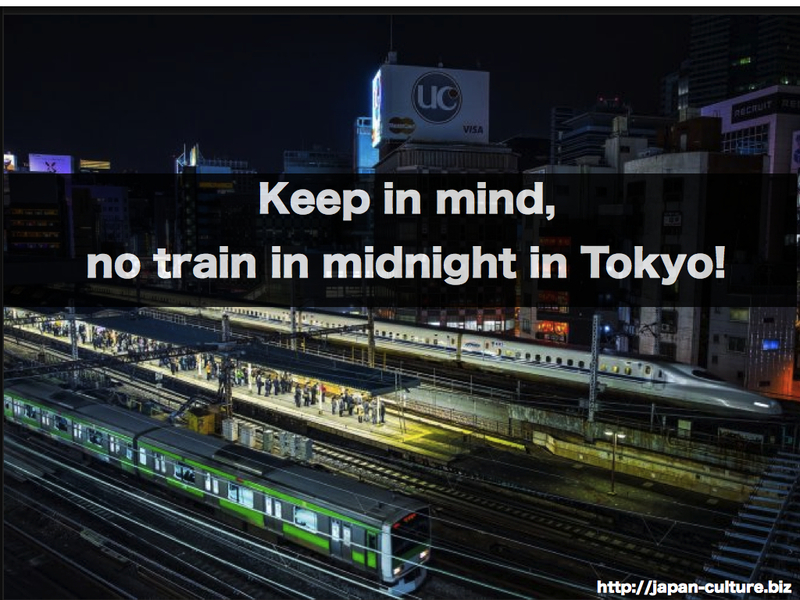 Unlike NYC, Japanese trains are basically not available after midnight. Even most popular train, Yamanote-line (a circular line located at very center of Tokyo), does not run from around 1:30am to 4:30am. So if you miss the train, you have normally two options A. take a taxi or B. keep drinking to wait a morning train (Uber is not quite popular in Japan yet). Either way, you will pay good amount of money (if you ride on taxi for an hour, you would pay appx. $100 USD) or you will be yelled by your boss being sleepy for all day (happens to me often).